Montreal Metro, originally uploaded by MariQuilts. 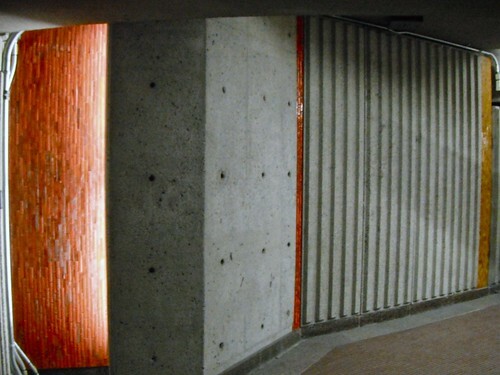 I've had the same thought about all the art in the Montreal metro stations whenever I go. Should take pictures just as you did, though. Just thinking about it doesn't help. I discovered your blog recently and have been enjoying it in small daily doses. Thanks for sharing!